simple & easy recipes that look & taste delicious! Can you believe that summer is almost over? Labor Day Weekend is the last three day weekend signaling the end of summer and the beginning of fall. Could there be a better time to celebrate all things food? 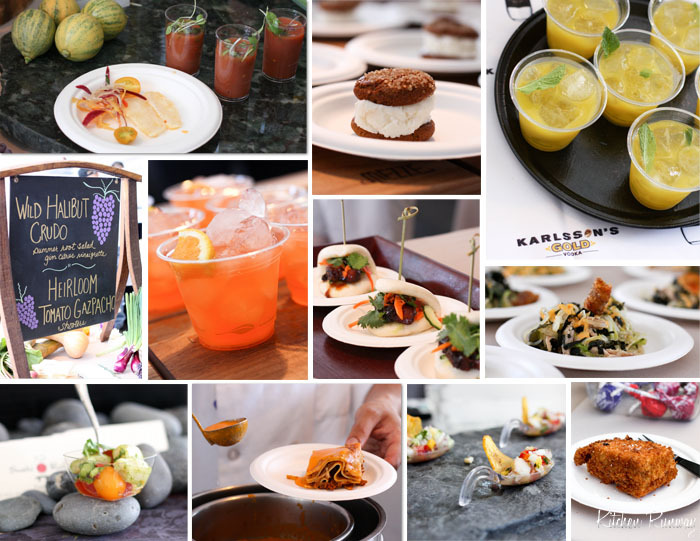 Amazing restaurants, fabulous food, and some of the most influential chefs behind the Los Angeles food scene will be present at this weekend’s The Taste. 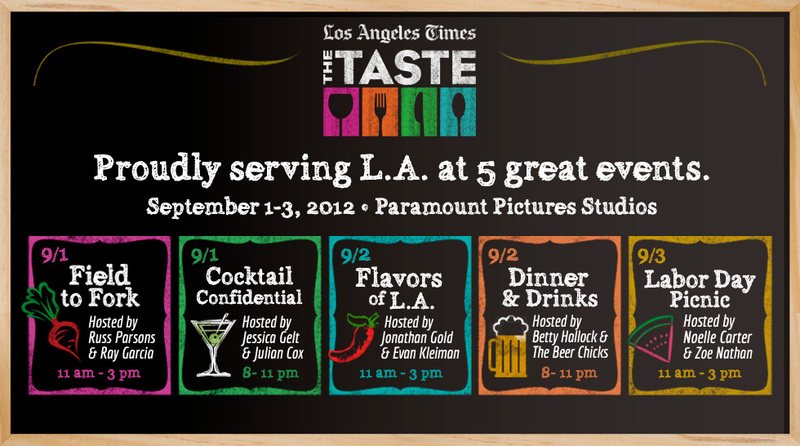 This three day food event is hosted by the LA Times at Paramount Studios in Hollywood, a great spot to soak in the glitz and glamour of all things LA and enjoy the gathering of some of the most amazing restaurants in Los Angeles such as Boa Steakhouse, Bouchon, Chaya, and Scarpetta to name a few. You’ll have the opportunity to rub elbows with such personalities as Sue Fenniger, Ludovic “Ludo” Lefevbre, and the infamous Thomas Keller. The weekend will feature 5 distinct events with unlimited food and drinks. Tickets can be purchased in advance ($50 to $65) or at the door at $75.00. For all of you in the LA area without plans for the weekend – we’ve got you covered. Make your way over to Hollywood and join us out there for a day or two of good food and good times. This is the 3rd annual event and we’ve attended the last two. Here’s our recap from last year’s event: Secrets from Celebrity Chefs. We are looking forward to this year’s event and of course eating, drinking and attending wine seminars and cooking demos. There is something for everyone to enjoy and indulge in. Hope to see you there! This entry was posted in Community, Entertaining, Food events.